Wellington Arch easily topped our list of venues least known to be available for events recently. Few know it as Constitution Arch, the historic structure became a familiar sight to Londoners since the late 1820s. We uncovered three little-known secrets which make Wellington Arch the truly unique venue it is today (and for you to boast about your London knowledge). 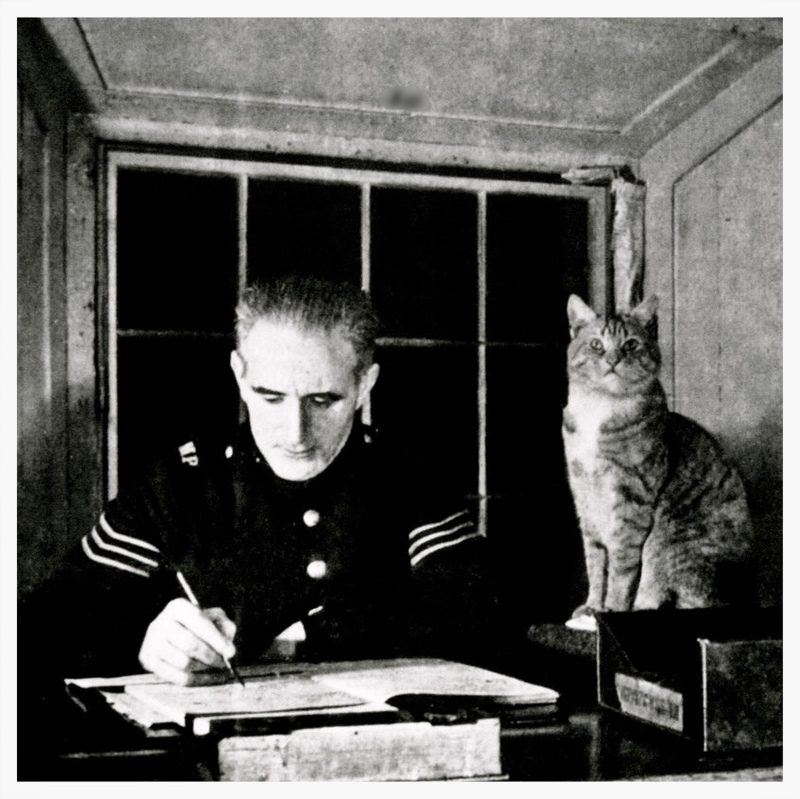 1) The Arch was home to London’s smallest police station and a police cat, Snooks, until the late 1950s. The police had shared the arch with park gate-keepers from as early as 1831. At one point, Wellington Arch Police Station had 10 constables, two sergeants, a dartboard, and a cat called Snooks. Here’s a rare photograph of Snooks with Sergeant Cecil Pollard. The police moved out eventually when an air vent knocked through one of the piers and the structure of the arch began to deteriorate. It was a number of years until English Heritage took over the care of the arch in 1999. After extensive restoration and refurbishment work, the arch finally reclaimed its former glory and was opened to the public in 2001. This illustration shows that very little of the site has changed from its intended appearance in the 1800s. The space in which Sergeant Pollard and Snooks once carried out their police duties has been reopened as an exhibition gallery in 2012. The Quadriga gallery, named after the bronze statue topping the arch, is split into two floors, both accessible by lift. The Quadriga gallery can be used for events entertaining up to 80 people. 2) A statue on top of the arch caused a monumental political crisis in the 1800s. Named after the 1st Duke of Wellington, victor of the Battle of Waterloo, the arch once supported a controversial statue of the soldier and Prime Minister. The sculpture weighed over 40 tonnes and 28 feet high and was then the largest equestrian sculpture ever made. 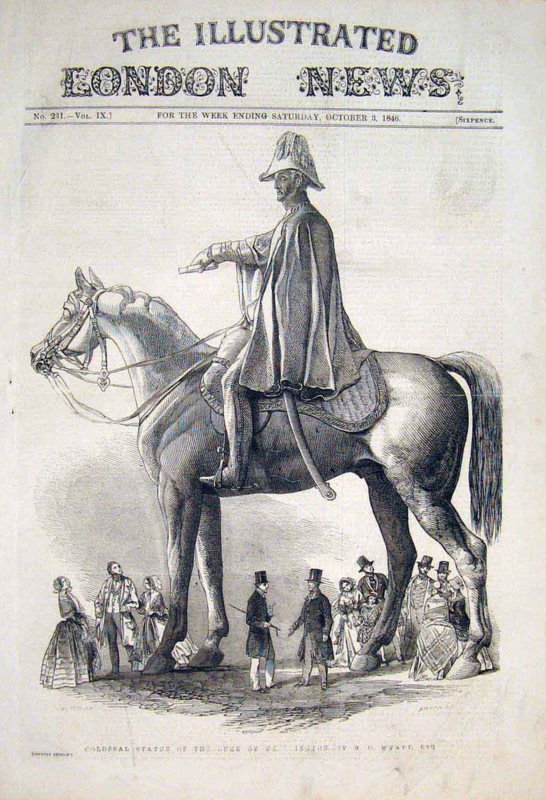 The gigantic proportion of the sculpture sparked much criticism at the time, but to avoid being seen as insulting the Duke, the monarch had to order for the statue to be left alone amidst the furore. This was largely because the Duke threatened to resign from his public posts, including the post of Commander-in-Chief should the government move the statue from the arch! After nearly four decades, the statue was not replaced when the arch was moved a short distance away to accommodate traffic plans in the 1880s. Instead, the Quadriga was placed on top of the arch in 1912. The bronze sculpture, a four-horse chariot representing victory, has been supported by the arch ever since. Although the top of the arch is off limits to the public, the Balconies lets you get right underneath the hooves of the horses. Imagine having a drink on the Balcony, overlooking the Queen’s back garden! The Balconies can be hired out for exclusive events, guaranteeing a memorable experience for local and visiting clients alike. 3) Wellington Arch could be the most accessible venue in London. 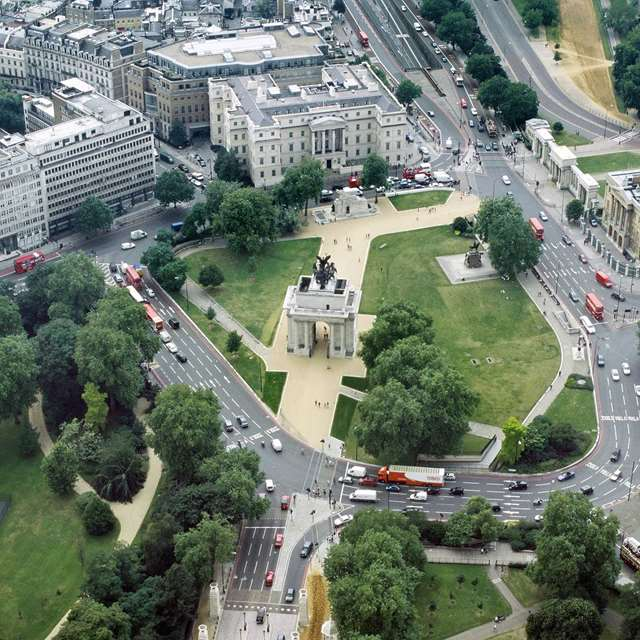 Located on a roundabout connecting major routes to central London and West London, visitors can reach Wellington Arch via Park Lane, Constitution Hill (it’s the flat road leading to The Mall), Grosvenor Place and Knightsbridge. Commuters can get to the venue easily via Hyde Park Corner underground station, with Green Park, Knightsbridge stations merely 10 minutes walk away.